50-inches is just the beginning of your great adventure. 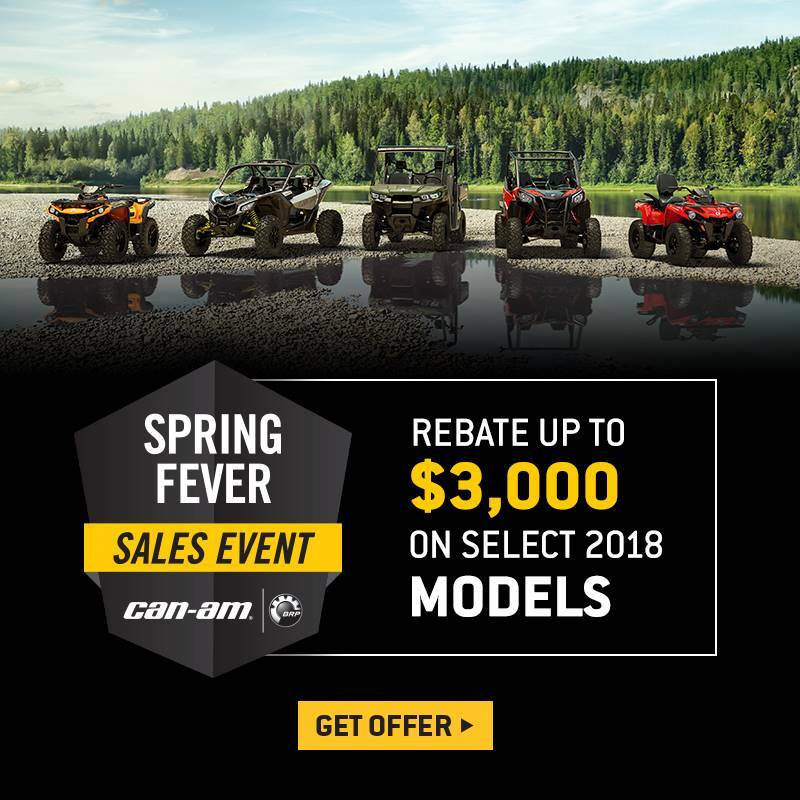 Can-Am’s engineering has been tuned to give the most comfortable, agile, and adaptable side-by-side vehicle ever—Where will you take the all-new Maverick Trail? PREPARED FOR OVERTIME: In the decades we've been building recreational vehicles, we've overcome it all, and can't stress how well this combination of our new Quick Response System T (QRS-T) CVT transmission and Selectable 2WD / 4WD with Visco-Lok† auto-locking front differential combine to meet your plans head-on. Now with high airflow ventilation and Electronic Drive Belt Protection, the CVT can apply Rotax torque over tricky terrain well into the night. 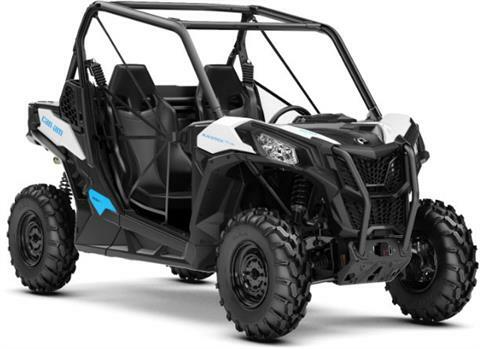 SIMPLY UNMISTAKABLE: With little space to work with, every line on the Maverick Trail has a purpose. Its styling and function are inseperable, a block of signature Can-Am DNA carved into a 50-inch-wide canvas. From its 55-W headlights to LED tail lights, integrated roll cage to 300-lb (136-kg)-capable cargo box, no detail has been hidden from view—leaving only the essential, best features at your command.